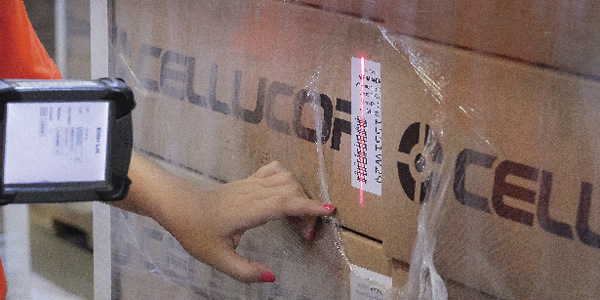 Among the benefits of Nutrabolt's 3PL partnership are accurate inventory control and shipment visibility of its Cellucor supplements. A 3PL partnership helps nutritional life sciences company Nutrabolt stay lean and fiscally fit. Rapid growth drove sports nutrition company Nutrabolt to set new logistics goals, and enlist the services of a "personal trainer"—Scranton, Pa.-based third-party logistics (3PL) company Kane is Able (KANE). Founded in 2002, Nutrabolt offers sports nutrition, weight loss, and general health and wellness supplements through brands such as Cellucor, Neon Sport, Royal Sport LTD, and Cavalier. In addition to serving distributors and major retailers, the Bryan, Texas-based company sells its products to individual consumers ordering online from distributors, retail websites, or directly from Nutrabolt. In 2014, Nutrabolt was named to the Inc. 5000 list of the fastest-growing private companies in the United States. This level of fast growth is a testament to its products and business model, but also created many logistics challenges. To meet growing customer demand, Nutrabolt needed to process orders more quickly and efficiently. Its strategy also had to include the flexibility to absorb dramatic swings in order volumes to support promotional campaigns. Nutrabolt provides omni-channel fulfillment; it processes orders for pallets, packages, and single-item units of sale through the same warehouse. Its products require strict temperature control, and any variation could result in inventory loss.